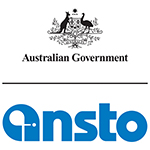 ANSTO is the custodian of Australia’s most significant large scale research infrastructure and has multiple ties and collaborations with Australian and International universities and research agencies. Tim Boyle will discuss the importance of organisational structure in developing strong partnerships between Industry-Universities and to balance the paradigm of centrally coordinated industry engagement vs direct researcher relationships with industry. What is best practice and where do commercial partnership opportunities originate?